Krishnagiri District is a one of the backward districts of Tamil Nadu. The literacy rate of the district is 71.50. This is 3rd lowest in the state as per the census 2011. The rate of literacy among women in the district is 63.91. Being a border district for the states of Andhra Pradesh and Karnataka, the multi lingual situation is one of the barriers for quality education. Especially the girl children are dropped out of school after 8th standard due to various reasons including economic backwardness of the family, distance from residence to schools and lack of transport facilities. This results in early and forced marriages to the girl children. 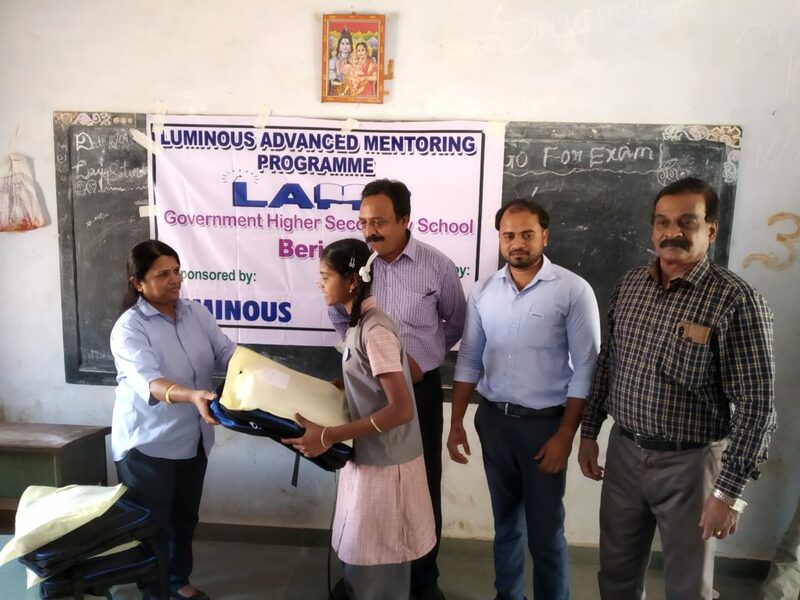 Having this background, ARCOD submitted a proposal to LUMINOUS to initiate an intervention to support the girl children in selected schools in Shoolagiri block for their education. LUMINOUS approved the project and the project was started in September 2018. During the year 2018-19 100 scholars were selected. It is proposed to include 50 more scholars under the project in the year 2019-20 in addition. The following table shows the No of scholars supported at present and new scholars to be included in the year 2019-20. The selected students are supported with Scholarship @ Rs. 5,000/- per year to encourage the students to continue the studies. This motivates the parents to send their children to school. This amount is utilized for education related expenses. In addition to this, support is extended in the form of school bags, study materials and uniforms. Special Classes are arranged for 4 days (During Saturdays and Sundays) in a month for 9 months. The LAMP Scholars attend these classes. Special inputs are given by hired teachers during these classes. The classes are held in the respective school for a duration of 5 hours a day excluding the lunch break of 1 hour. Lunch and refreshments are organized for the students. Workshops are organized once in a quarter to the scholars to give them inputs for their personality development. Assessments are conducted periodically in all the subjects for the students to monitor the progress of their learning. This helps to identify the area in which the students find difficult to cope up and to give inputs / focus in that particular area. These assessments are out by the teachers. To give exposure to the students on various option of higher education, career counseling workshops are organized. Experts from this field are invited to do the exercise. The camps will facilitate the students to set goals and choose right courses for their higher education.